Frieze New York 2018 had barely opened its doors when an incendiary article appeared on New York Mag. The article, “A Modest Proposal: Break the Art Fair”, consisted of a plea from Pulitzer Prize-winning reporter Jerry Saltz himself decrying the state of the art fair “industrial complex” as a factor degrading the current state of the contemporary art market. Saltz mounted a full-scale critique of the art fair model in painstaking detail, from laying bare the cost of a large gallery booth to recounting the excruciating toll this mandated art fair participation has had, particularly on small to mid-sized art galleries. Yet Saltz is not the first to mount such an attack on the art fair as a contemporary phenomenon. In his missive, Saltz echoes the lingering doubts many gallerists have held over the past decade, particularly since the impact of the financial crisis. In light of slowing sales, or steady sales of artworks with a smaller price tag, many galleries have become highly selective about which art fairs they attend, perhaps even electing to forgo them altogether. Can this spell the beginning of the end for the art fair model? What alternatives exist for galleries looking to maximize profits without sacrificing the high premium for an art fair booth? Here, we take a look at strategies that galleries can implement to evade the high fees it takes to participate in the myriad art fairs blooming from Hong Kong to New York, London to Mexico City. Saltz echoes the lingering doubts many gallerists have held over the past decade, particularly since the impact of the financial crisis. What galleries are loathe to admit in public, they are often willing to admit in private with respect to the squeeze that art fair participation exerts on their finances. One such cutting-edge contemporary art gallery based in New York City has stressed that they rely on online resources to seek out new collectors since these platforms offer greater visibility to a wider audience through state-of-the-art search algorithms. “The online visibility to new collectors is a game-changer,” notes the anonymous gallerist. The high cost of such online art sales listings can be prohibitive, however, once everyone has signed on board. “Prices have risen for us over the past year, but we can’t afford not to be listed,” the director shrugged. Certain online art sales resources have gained prominence in recent years, but a wide array of online sales agents work actively to seek out new collectors who already own works in a vein similar to the galleries listing with them. Alternately, galleries are thinking more holistically about their brand and how they’re represented in the public view. They may be more willing to take risks on international or local buzzy initiatives, such as the recent New York/international gallery exchange launched in 2017, CONDO. Galleries have found ways to maintain an edgy approach to preserving their image in the wider sphere. Galleries may shift part of the money they had focused on art fair booths to instead partnering with celebrities, sponsoring viral events and/or buzzy nonprofit events, or hosting parties during art fair weeks. Galleries have moved into this sphere, once comfortably inhabited by magazines, hotel chains, and other enterprises. While this approach usually augments an existing sales strategy, investing in the right press and making sure that artists are given the opportunity to mix and mingle in the public view with the right tastemakers can reinvigorate a gallery brand in 2018. Galleries are thinking more holistically about their brand and how they’re represented in the public view. They may be more willing to take risks on international or local buzzy initiatives. For many galleries, however, remaining prominent within their respective niche remains a tried-and-true approach. Did one in a stable of artists recently gain MacArthur “Genius” Grant or Guggenheim Fellowship recognition? Blast the news far and wide, doubling efforts to ship their work out for new exhibits at home and abroad, and wait for the sales records to pour in. Is an artist involved in a celebrity’s charitable causes? Painting official State portraits? Galleries are there to sweep up the recognition, building momentum for not only the artist in the limelight but finding ways to translate this to benefit all of their represented artists. Finally, galleries must necessarily find ways to engage with “product placement” while remaining critically acclaimed. From Jack Hanley artist darling Margaret Lee’s traffic-stopping treatment at Barney’s The Window to daring artist partnerships with millennial- brands like giphy, galleries have to be ready to innovate, partner and seek new and evolving audiences that can often be wary of an art world frequently perceived as insular. While toeing the line between critical and viral can be an intimidating initiative, those galleries able to harness this to their potential find the benefits are decidedly worth the risks (just ask David Zwirner, home of artist and social media phenomenon Yayoi Kusama). 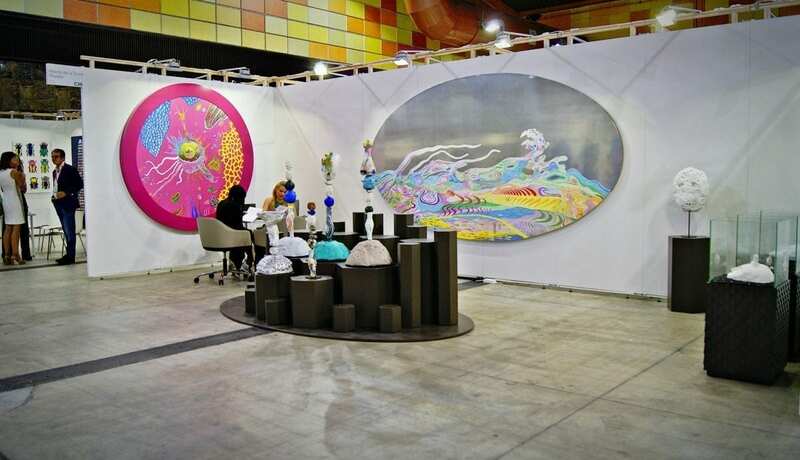 Art fairs can often bring all of the above recognition to galleries and were the booth price the only consideration, these fairs would surely be worth it to participating galleries. The issue arises particularly for galleries on the periphery seeking to travel to major urban centers to join the art fair gold rush. 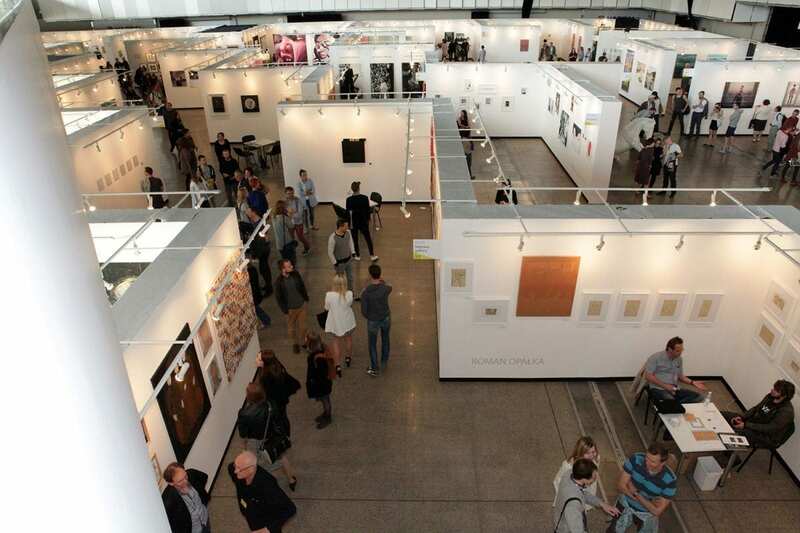 For these galleries, art fairs can pose risks as major investments. For a small business to wager a significant amount of an annual budget in travel costs for gallery principals, art packing and shipping and extra labor at the fairs – not to mention both lodging and resources spent courting visiting collectors – the balance sheet begins to tip. Who can blame galleries who are more willing to take risks on brave new ventures and not the same-old trenchant art fair concept when seeking to gain new collectors? Ultimately, galleries themselves are a fairly modern invention. Artists can pursue expanded modes of engaging with an adoring public, but without a gallery advocating for an artist, opportunities frequently take more time and energy at the artist’s expense to pursue. However, galleries would do well to weigh the benefits and risks of art fair participation against the potential risks they court if they eschew art fairs without simultaneously pursuing new avenues for their artist to increase visibility and sales. It’s only by evolving and finding new avenues of exposure and attaining renewed relevancy that galleries survive to thrive another day. Well-reasoned additions to the Saltz article, especially the focus on ‘guerilla marketing’ alternatives for galleries. My beef with the fairs is that increasingly galleries seem to be bringing ‘safe’ art by known, salable artists, because the (honestly exorbitant) costs of being in the fairs makes it hard for them to take risks. Still the good fairs do one useful thing: they get real buyers in the door, at least for a few hours, which gives galleries a chance to make a sale. It feels efficient for collectors, compared to spending lots of time going around actual galleries and openings. It’s imperfect and unfortunate, but I think we’re stuck with these fairs for awhile.